The plastic pieces that we manufacture for our clients are usually components of a larger product. It can be a hassle for clients to ship these plastic parts to a second vendor who will perform assembly and bonding services. Rather than spend extra time and money on introducing a second vendor into the equation, why not let us perform bonding and assembly, too? Yes, our team can adhere plastic pieces together according to your specifications or assemble multiple pieces together to create a finalized product or to prepare a multi-unit part for you. It just makes sense to let us perform these extra services. After all, since we manufactured the piece, we already have a deep understanding of your schematics and the overall goal on the project. Working with us for bonding and assembly also means your pieces stay in one place and that you can stay in communication with the same project coordinator. The fewer vendors involved, the easier your job is, and the smaller the chance of a late shipment or miscommunication between vendors. 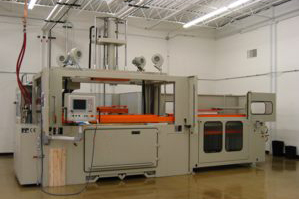 Call us today to learn how we can mold, trim, bond, and assemble your plastic parts. Next Post: Do You Need Your Plastics to Survive the Might of Mother Nature?